True but in alot of midwestern and sunbelt states like Illinois, Texas, Florida, or Georgia for example this usually holds true since you can always build further out and the older neighborhoods usually become less affluent over time. Houston alone has several examples of this as some formerly middle class neighborhoods become more working class as the middle class move to newly developed areas. Another Houston poster mentioned this before. Before that, I thought stories of declines of inner suburbs was a trend story that I didn't really believe. I always thought that old suburbs near the center city but not in the center city are the most affluent and tend to keep their value long-term and the affluence slowly declines (with lots of variation) as one moves further away. The newly developed area on the edge of the metro I thought were for people who couldn't afford the inner suburbs, at least for the space they desired. I was born the year before Katiana graduated from college. 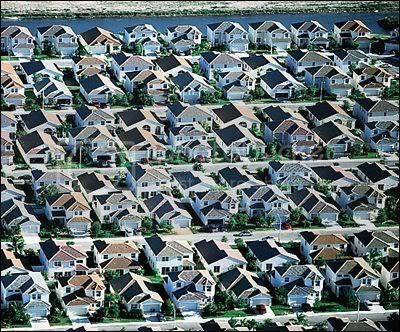 Grew up in the suburbs, and my fifth-grade teacher (a Boomer) used to play "Little Boxes" for us. I suppose it may have helped encourage my discomfort with the suburbs, but there were plenty of other factors that did. But Malvina Reynolds wasn't a Boomer, she was born in 1900. The problem is, what strings come with that spacious home, even if the price tag is accounted for? How long is the commute? How much does gas cost? Is the spacious home a womb, or a tomb? My home is the neighborhood, the city, the street, the sidewalk, the world. No drywall pseudo-castle can contain it. This is exactly how I feel. I've lived that life, and I felt claustrophobic. I like being outside in the city, the street, the sidewalk and the world, just as you said. That combined with a hate for spending time sitting in a car, getting frustrated, spending tons of money on gas, maintenance, etc. I assume that they don't do without electricity. Water or sewers, I suppose drilling a well and septic tanks/leachfields are practical in some places, but beyond a certain point people demand things like sewers and city water systems. Cities had dirt roads a century ago, but "dirt" would be a very, very, very generous term for the substances that actually made up the street. Paving, plumbing and sewers were essential to eliminate rampant disease. You can't just vote to not have a cholera outbreak. When was the last cholera outbreak in the USA ? Because it is not a choice between being taxed into submission or have disease.I think you will find cholera outbreaks are typically a congested areas problem. But I am not a politician trying to get money to share with my special interest crooks. That teacher cast a spell on you. True, it's a far more complicated decision than just "Am I gen Y or not?". Everyone has different needs/wants too, I recognize that...but that's my beef with the article in the first place. It's trying to tell me what I want/don't want as a person from that demographic. It fails to recognize that maybe people take what they can get even if they don't exactly want to live that way. I am a late X'er early Y'er but I'm married with three kids too. I was raised in a ca. 1970's cookie-cutter drywall box and although my childhood wasn't deprived or unhappy I still grew to hate that kind of house. That's the suburban landscape gone wrong. The origional suburban idea was a lot more practical and pleasant. My home is the neighborhood, the city, the street, the sidewalk, the world. I like that thought (except for the world part). Even when I was in rather bad apartments, I the whole neighborhood and surroundings made me like my home. Not seeing people who look like you is increasingly become more common in suburbs of several cities around the country. [The 2010 census numbers for Texas and the nation show declining non-Hispanic white populations in many places and strong growth in Hispanic and, to a more limited extent, Asian and black numbers. That phenomenon is particularly true in the Dallas area, where white growth was far lower percentagewise than that of other racial and ethnic groups from 2000 to 2010. Dallas County lost almost 200,000 white residents in the decade, a 20 percent decline. But other groups more than made up for the loss. It’s the suburbs, though, that recorded the most substantial changes. Each of the suburban counties surrounding Dallas grew sharply over the decade, especially in terms of minority populations. “I think what we’re seeing is African-American suburbanization and growth everywhere in the Hispanic population,” said Dr. Steve Murdock, director of the Hobby Center for the Study of Texas at Rice University and former director of the Census Bureau. Some of Dallas County’s white population moved up to Collin and Denton counties. But even with that influx, growth rates were far higher for other groups. Collin County’s white population grew by almost 120,000, or 32 percent. But its black population soared by 178 percent, increasing from about 22,000 in 2000 to 64,000 in 2010. The county added 65,000 Hispanic residents, an increase of 128 percent; and 53,000 Asians, a jump of 157 percent. Denton County’s white population increased by 30 percent, 98,000 people. But Asian growth added 26,000 residents, an increase of 149 percent; 68,000 Hispanics, a 130 percent increase; and 29,000 blacks, a 116 percent bump. The non-Hispanic White Only population of the city actually declined by 52,449, or 5.78%. The “minority” population declined even further, -147,969 or 7.44%, meaning the city actually grew its white population share by 0.38 percentage points, perhaps indicating the early stages of the “Europeanization” of Chicago as the core gentrifies and disadvantaged groups and the white working class are pushed further to the fringe. Indeed, the Black Only population plunged by 177,401 as blacks increasingly moved to suburbs, especially southern ones like Matteson, Lansing, Calumet City, Park Forest, and Richton Park, each of which added thousands of new black residents. Some indications are that a significant number of black residents left the region altogether. The traditional black magnet of Atlanta – which struggled through much of the decade – was a top five destination for people leaving Chicagoland over the past decade, and Chicago was the #2 source of in-migrants to Memphis, another black hub, according to IRS data. 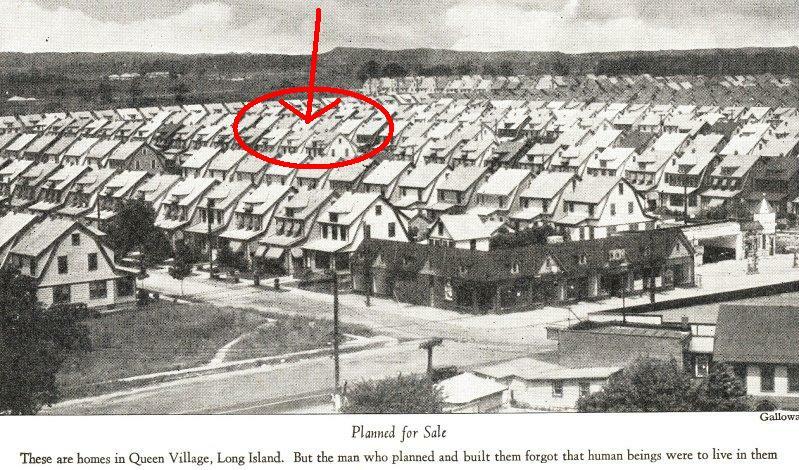 Is this 1920/ early 30s "original suburban" neighborhood any better? into avoiding the McShopping cart. Katiana, you can just get over yourself and not take everything as a personal attack against you, the suburbs or your (excessively entitled) generation. Lots of young people who are now buying homes here (in Baltimore, which remember, is much different from Denver) come from parents who fled the city for the burbs after race riots, blockbusting, red lining, the collapse of industry, etc. .
theyd have to be kind of old millenials, since the race riots in baltimore (and most other places, leaving aside the rodney king riots or the tampa riots) were in 1969. I am a boomer. I moved to Bolton Hill in 1986 and lived there for three years. Most of the people who were fixing it up were boomers, or older than boomers. Ditto for park slope in NYC, for capitol hill and adams morgan in DC, for old town Alex in Nova, for old town and new town and lincoln park in chicago, etc. yes, lots of them left when they had kids, or their kids got older. Or when crime got to them. I dont think millenials are significantly more liberal on race than boomers were. They ARE more liberal on sexual orientation - but Ive never heard of folks leaving the cities cause they were skeptical of gay marriage.